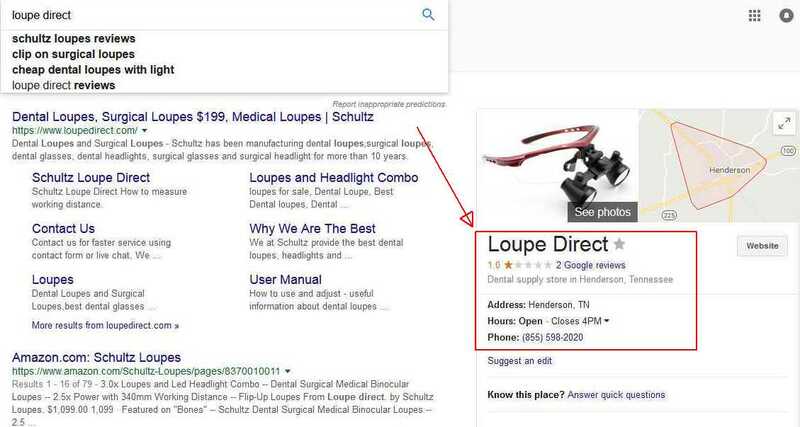 Company Background: Schultz Loupes (aka Loupe Direct) is a rapidy growing worldwide company headquartered in Henderson TN. 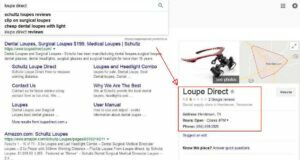 In business for over a decade, Loupe Direct has its origins in a company started by founder Roger Jiang in 2006. The company’s goal is to bring top quality dental loupes and dental headlights from the factory directly to your office. The company has invested heavily in digital marketing to differentiate and to expand their presence online. Challenge: Being a company that ships their products worldwide, it was a frequent test for Schultz loupes to consistently receive feedback from customer’s. 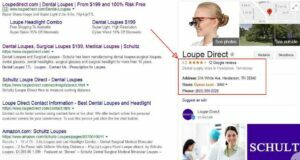 So, when Schultz Loupes contacted MyReviewEngine for reputation management services, our team quickly learned Schultz Loupes’ challenge was earning positive reviews, and allowing customers to easily leave said positive review. They wanted feedback and wanted them fast to better grow the company. Solution: The team at MyReviewEngine and Schultz Loupe brainstormed strategies that would impact the bottom line in the shortest possible time. The strategies implemented include SEO, Social Media, and various integrations. Results: “350% increase in online reviews“ The strategies we implemented dramatically increased the number of positive reviews in a very short period. Traffic to their online properties traffic grew by 200% and we saw an increase of positive mentions. 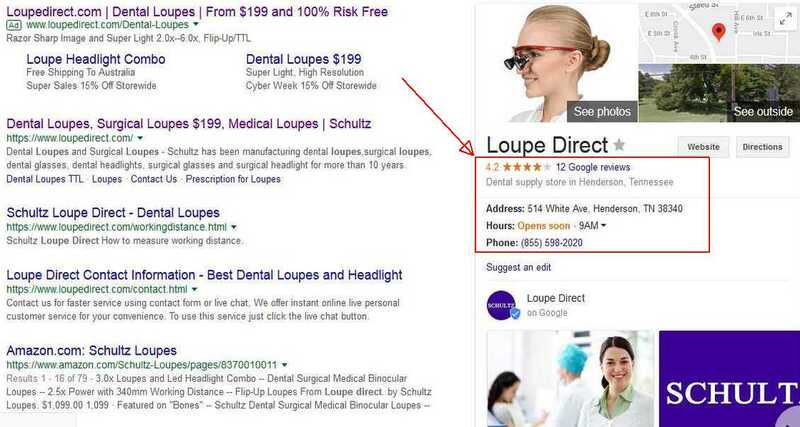 Google My Business: On Google, we positioned Loupe Direct as an authority in dental loupes and allowed businesses seeking this service to easily connect and open a dialogue. MyReviewEngine reputation management experts successfully turned a negative-leaning profile into a positive Google Business profile within just one month, and was able to convert more online shoppers into orders.